What is the need for background checks and investigations? There are many different scenarios which may require an individual to undergo either a background check or a background investigation. These are different terms that do not have the same meaning despite what many people think. Before the differences between the two types of background search are explored the basic rationale behind conducting any type of check on an individual will first be explained. Many times, an individual is appointed to a role which necessitates the employer is able to ensure their new hire has the type of background and character which makes them suitable to carry out their duties. The type of background information required will depend upon the nature of the role that is being filled and differing roles may require either a background check or a background investigation. The differences between the two shall now be explained before some examples of situations necessitating this type of vetting will be given. 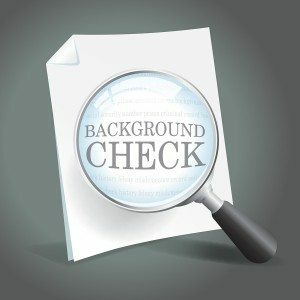 A background check typically refers to the process by which existing records on an individual’s history are explored in order to determine if that person is suitable for a particular role. The level of detailed provided by the check will differ depending on the importance and sensitivity of the role the individual is looking to fill. For example, a credit check is a basic form of background check that is undertaken on consumers wishing to purchase goods on a credit agreement. A criminal record check is a more in-depth form of check that is often carried out on individuals applying to a new job. The key difference between a background check and investigation is the check typically makes use of preexisting records pertaining to an individual whereas an investigation may seek to uncover new information. 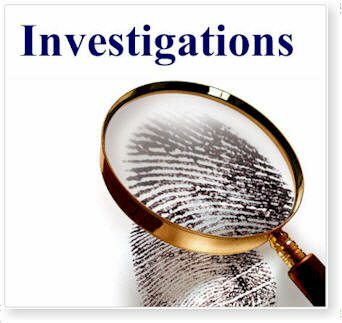 A background investigation is typically a more in-depth process than a simple background check and often requires the investigating party to conduct first-hand research into the individual in question. An investigation will most likely make use of the type of preexisting record that is used as part of a background check while also seeking to uncover further information through investigative techniques. This may include interviewing people who have been associated with the individual being investigated in the past such as previous employers, social acquaintances and spouses. An easily understandable example of a background investigation is the process carried out by government agencies when recruiting personnel to sensitive roles. The level of information provided by preexisting records does not go deep enough. Instead, it is necessary to source fresh information on the person in question to ascertain whether they can be trusted with the sensitive duties they seek to carry out. 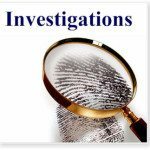 What are the types of situation necessitating a background check or investigation? Background checks and investigations are carried out to varying degrees in a wide variety of different situations. There is a direct relationship between the depth of information required and the potential impact the individual could have in the capacity their background is being examined in relation to. A few examples of the specific situations requiring background information will now be provided along with an approximation of the level of detail required for each. If a person is seeking to buy a firearm then many countries and areas within those countries will require the individual successfully pass a background check before they are able to purchase a weapon. The check will typically ensure the individual does not have a criminal past or known mental health issues. When a person applies to a job or other role that requires them to be in the presence of children it is necessary to check that they do not have a known history of criminal offenses. This is typically done through the checking of criminal records databases and its purpose is to ensure the safety of those whose care will be provided by the individual. If an individual applies to a sensitive job, such as in a type of national security service or other role providing access to highly sensitive information, a more in-depth background investigation is required. This delves beyond the readily available records in order to provide an accurate picture of a person’s character and history. This seeks to ensure the individual has not engaged in any past behaviors that may make them unsuitable for the role, even if these behaviors have evaded being formally recorded in the past.